Omg!!! So dusty already this blog of mine!! hahaha! I've lost my mojo for writing along the way.. but ah.. somehow, I'm inspired to type something out today. You know why? Because today, 9 April 2015, I turn ONE! Yes. 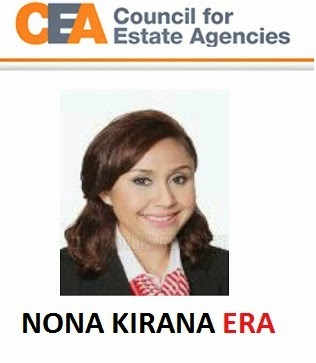 ONE in the Real Estate industry! So that deserves a long and meaningful blog post. As of today, it's been almost 8 months of me leaving radio as a full-time DJ.. EIGHT fulfilling months of being SELF-EMPLOYED. Scary still, but I think i'm doing alright. Alhamdulillah! 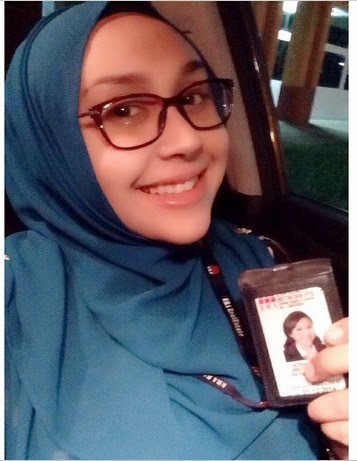 Being in radio for 8 years as a contract staff has taught me many many things... To continue staying positive, to persevere, to be thankful for what I have, to be different, to stand out amongst the rest and to have faith in Allah and His magical ways. It wasn't an easy decision to leave radio, but after much consideration, I needed to take the plunge to propel myself further. Real estate has been such a fulfilling roller coaster ride. One year of being a licensed real estate salesperson has taught me many life experiences and skills. Patience and perseverance is at the top of the list. 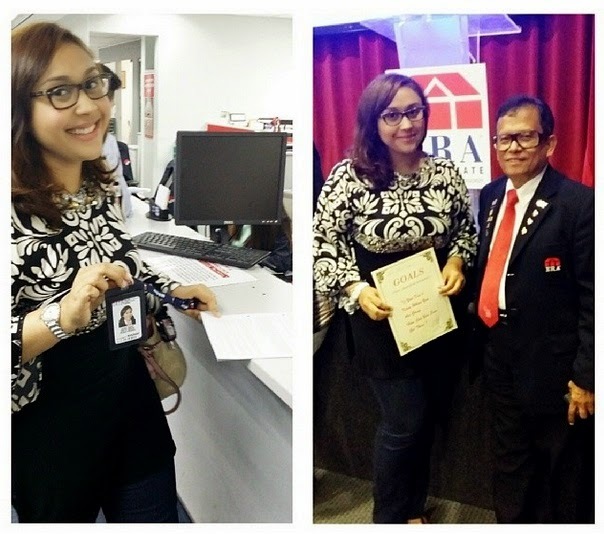 Alhamdulillah, I'm also blessed with a supportive partner and mother, AMAZING managers and team members, as well as customers who are kind enough to give me the opportunity to assist them on their resale transaction matters. Crazy sey. This job is wayyyyyyy different from what I have been doing in radio. 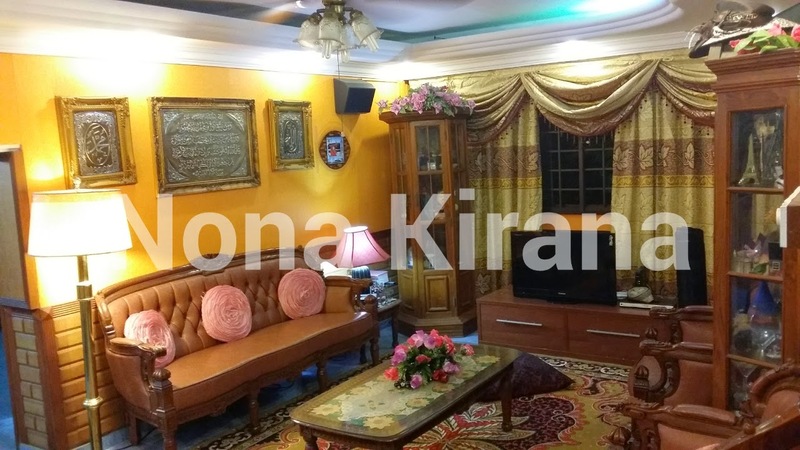 Jual rumah orang! It's people's assets we are talking about. Life savings and probably the only thing they own that is worth more than what they have in their bank accounts! But, they trust ME to assist them on these matters. Alhamdulillah. Fulfilling is when i get to help them "solve" their problems. People have various reasons why they sell and buy... Downgrading, retirement planning, investment, divorce settlement, debt clearing, family issues and many many more. Every case is unique. Every client is different. I'm always in my thinking mode, each time I go for a presentation. It challenges my brain to think out of the box and explore possibilities with my clients. This industry has also changed my life. I now have more time and also money for the family. MaShaaAllah. Never have I thought that this is possible, but indeed, real estate has changed my life. For that, I have to thank Allah for opening up my heart and mind to have a go in the industry. SubhanaAllah. 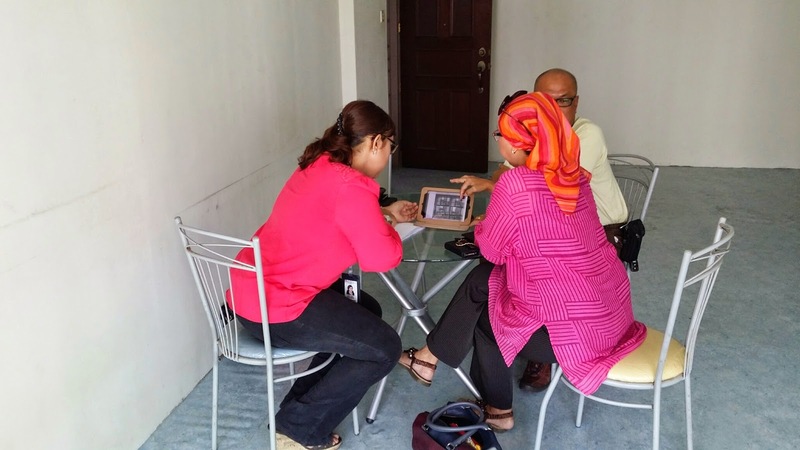 The FIRST time I collected my agent pass and saw the LEGEND in real estate, Pak Lah from ERA who gave me honest words of encouragement. My FIRST sale! This unit was optioned within 3 weeks of marketing! 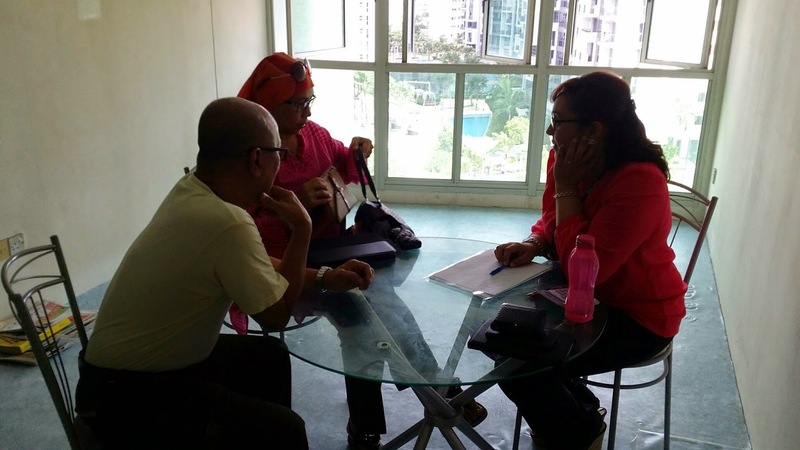 My FIRST HDB 1st appointment. 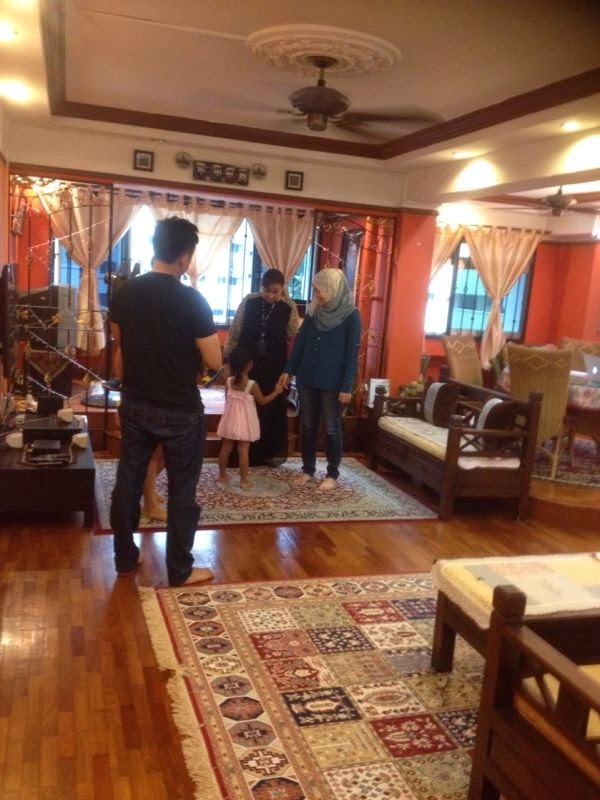 I remember how nervous I was.. Sakit perut lahh.. butterflies in my tummy laaa.. 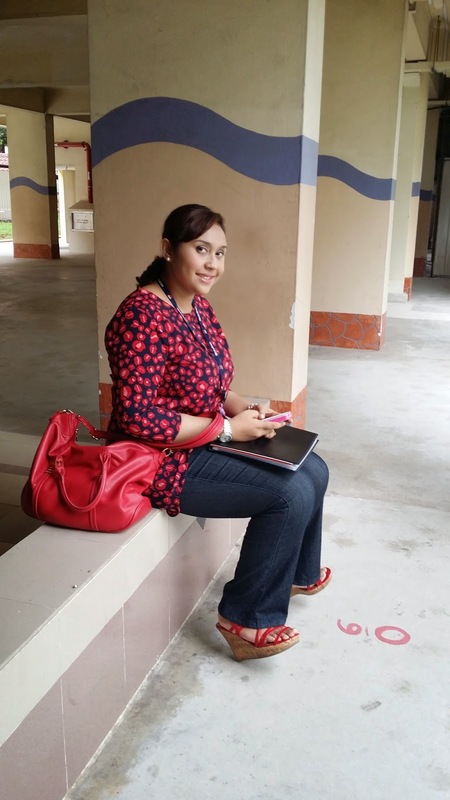 Saw so many veterans at HDB and i super super nervous.. berpeluh semua you alls... haha.. But alhamdulillah, it was a smooth one. 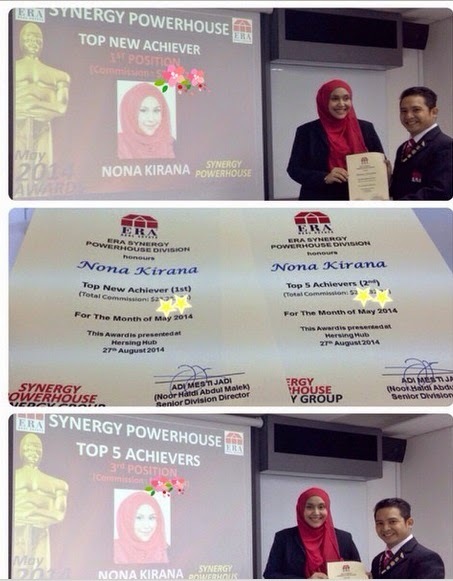 My FIRST SynergyPowerhouse Awards! Terharu sey! Bukan selalu dapat recognition for my hardwork. 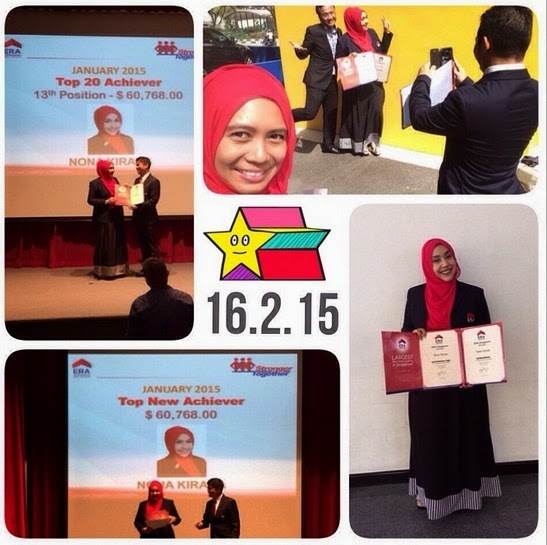 So, to be awarded such, walaupun setakat a certificate, is good enough to motivate me to do better. To keep outdoing myself and continue doing the best for my clients. 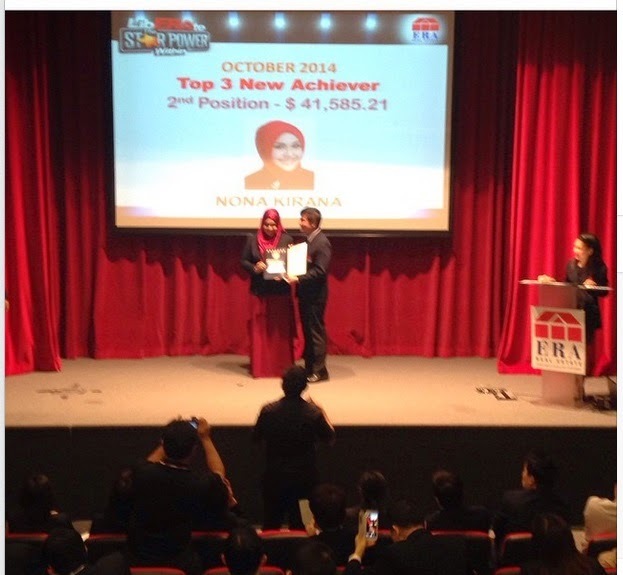 My FIRST award on a company level.. Out of soooo many rookies agents, I received 2nd for October 2014. 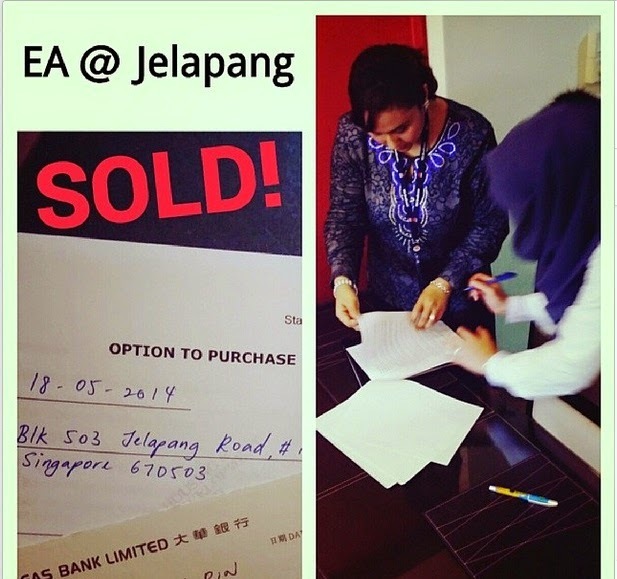 Here is me with the CEO.. Segan sey, as I was the only muslim female new agent there.. But the support and applause from the seniors in the company, made me feel so honored to be up on that stage. I was indeed amongst champions in the company. Alhamdulillah! And so I pushed myself further and thus was the result.. my FIRST TOP (New) Achiever award! which also got me Top (13th) Achiever award on an ERA level! Surprised giler sey! Out of sooo many agents, I got it! Alhamdulillah! Super super happy! Of course, this journey is not all rosy... there are the heart attacks and also unpleasant experiences but I feel, that is part and parcel of the job.. It's been pure hardwork for me, to be where I am right now. Of course I always get the hearsay.. "Ya laa.. She popular mah.. that's why she can do so well.."
Come on ah.. Don't give yourself excuses/reasons to why you are not doing as well.. I am a hardworker. Those close to me can vouch for this. I made sure I was not a "blonde and popular" agent. I wanted to add value to my clients. I read alot, I practised, I learnt from my managers on sales techniques and I do my best to model the Top achievers in the industry. It is ALOT of effort (and very little sleep)... haha. But, I always tell myself to NOT get affected by negative people.. Rezeki Allah itu luas dan kita semua ada bahagian masing-masing.. Whenever I see successful people in the industry, I am always in awe of how they are able to achieve it.. Like how my managers have sooo many private properties and how some of my team mates are TOP achievers in the company.. if they can do it, so can I! Alhamdulillah. I survived. ONE as a real estate salesperson and still very much passionate about the industry... i promise to continue doing my best for you.. InShaaAllah..
Nak jual? Nak beli? Nak upgrade? Nak downgrade? Nak melabur dalam hartanah? 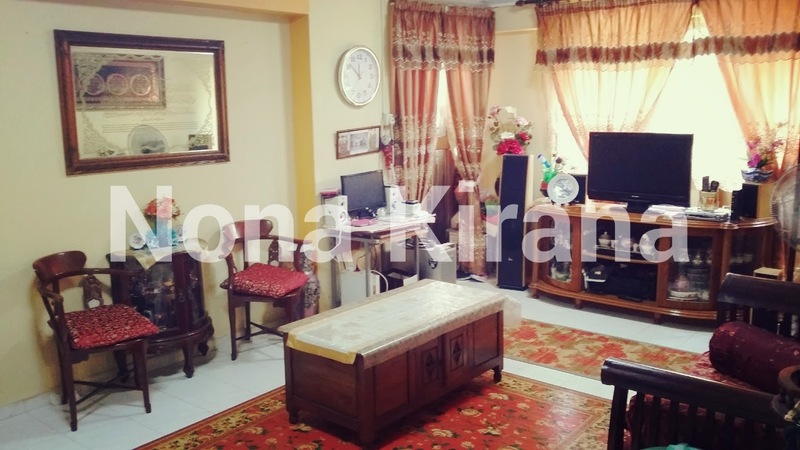 Nak sewakan satu rumah? Nak tukar kerjaya? This whole real estate thing has been such a mad adrenaline rush! It's crazy and so spontaneous but I'm loving it! Alhamdulillah. To begin with, I've never been conventional when it comes to my work and somehow this really fits my lifestyle and personality. But of course there are hair pulling and heart attack moments laaaaa. Haha. And ahhh.. I really enjoy doing presentations and handling viewings. Macam suka satu macam ah. I feel a strong need to educate and make them see the opportunities from the sale of their house and also to solve whatever housing problems and needs that they might have. It's been so fulfilling when you see the reaction on their faces. 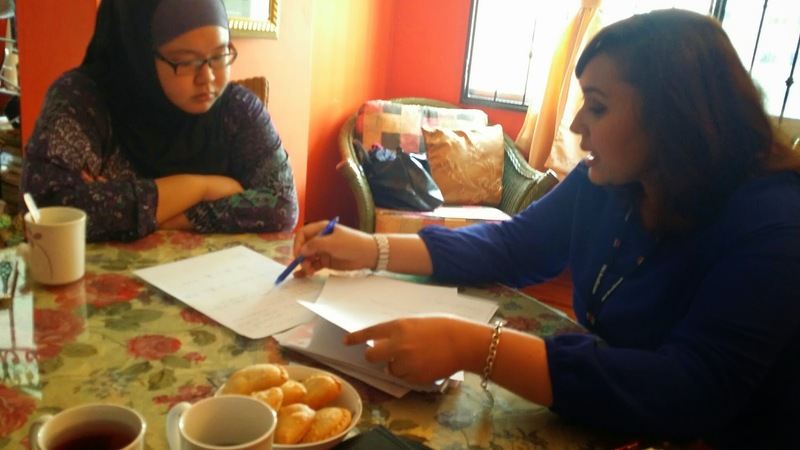 Like, "Oh.. tak sangka lepas jual rumah ini boleh dapat duit pasal bila dah pulang pada CPF, dah hit minimum sum, yang balance tu boleh dapat cash.." and "Lepas dapat untung rumah ni, nak tolak hutang jadi tak pening kepala. Kita downgrade dan duduk diam-diam, sekurang-kurangnya duit rumah dah bayar penuh.".. And many more cases like that ah. Of course there are the "sakit hati" moments lah. Like clients bubble when it comes to presentation or viewing appointments.. Bank loans not approved.. Cannot sell house because of certain ethnic integration policy ratio.. things like that. Tapi tu biasa ah.. It's how we manage such situation that matters most. I'm still learning and i've got a longggg way to go. So, yeah. So far so good. Ok, here are some of me in action.. Hu hu hu.. So there you have it. Another summary of my Real Estate work. Madness but fun. Haha. I've got a few presentations lined up and I'm excited to meet with my potential clients. 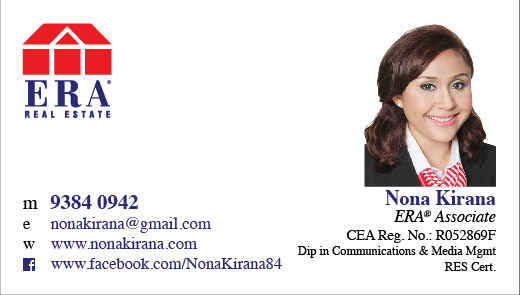 If you have any questions or concerns over your housing matters, please give me a call ok. I would love to be of assistance to you. Alhamdulillah. All praises to Allah for opening my eyes and heart to the real estate industry. Though it has been madness these past few weeks, especially juggling radio and real estate responsibilities, it has been sooooo fulfilling. Secured my first EXCLUSIVE listing barely a week after announcing that I'm a licensed Real Estate Salesperson or RES they call it. So blessed to have met this down to earth and very nice couple. I like to be very prepared for presentations. 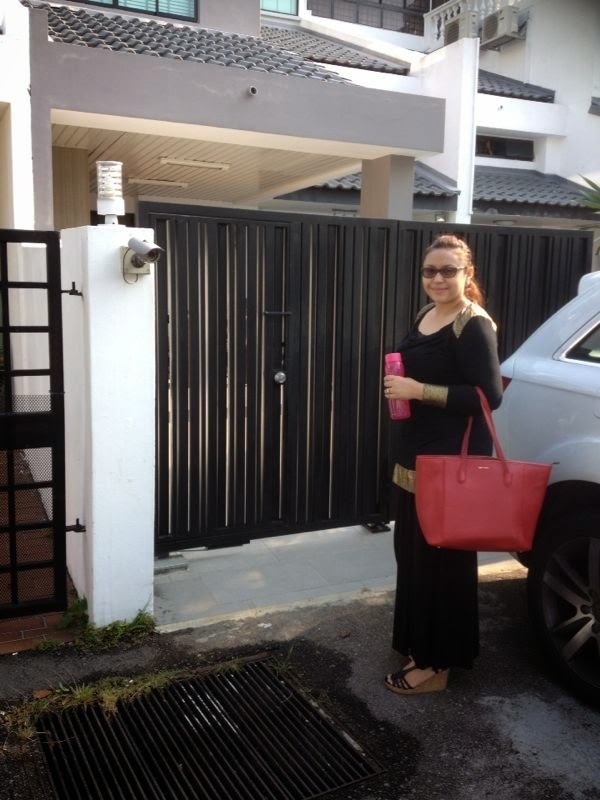 Therefore, after consulting my mentor, Adi Mesti Jadi from Synergy Division, I am all set to meet her and her husband. With my calculations ready and mind set on giving an awesome presentation, we met up at their place. 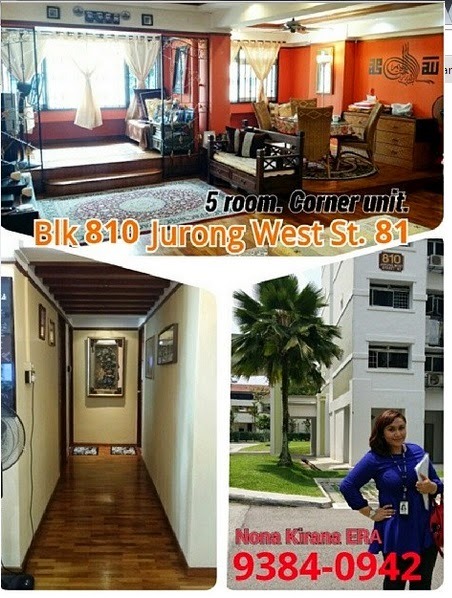 Everyone will remember their FIRST... and this beautiful unit in Jurong West is my FIRST HDB Exclusive Baby! 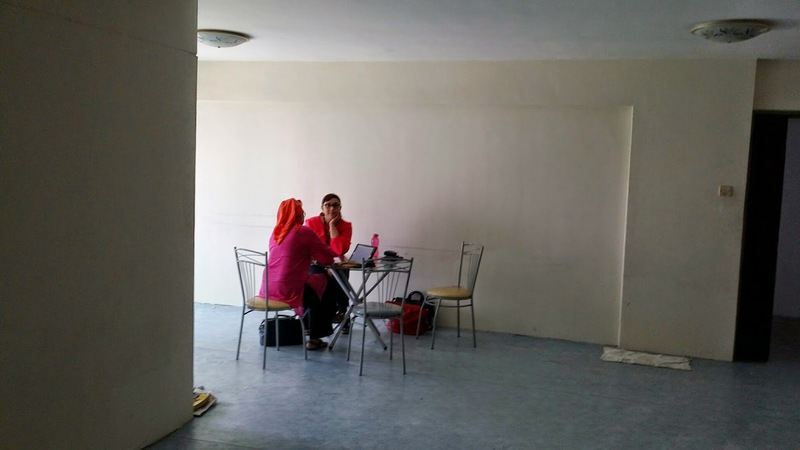 Ok. Then a few days later, I met up with yet another home owner who wants to let go of their vacant 5room Punggol flat as their tenancy agreement with their previous tenants has ended. 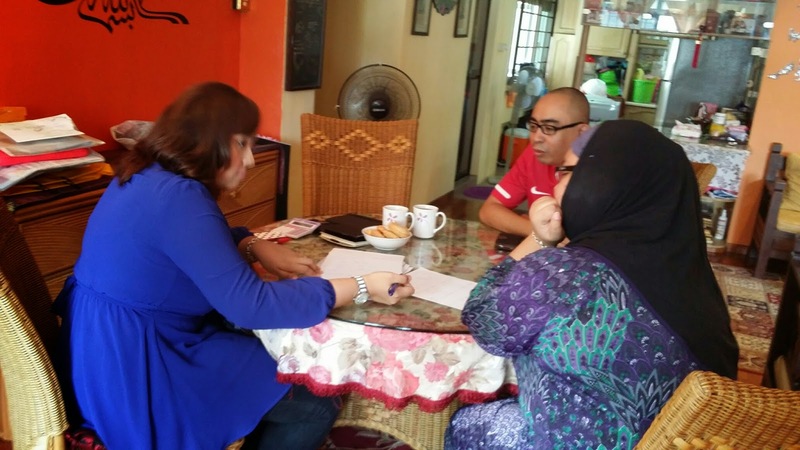 This couple wants to let go of their home to puruse their personal financial plans. This one lagi best. 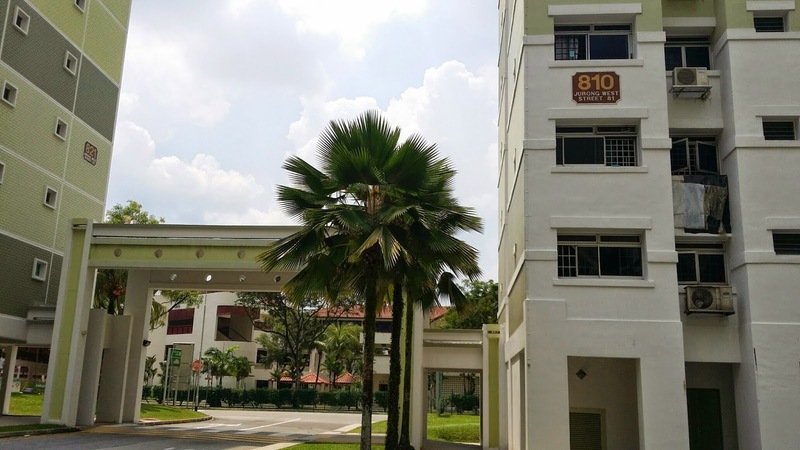 For those of you who wants to be in Punggol but cannot wait for a BTO flat, this is for you. It's in original but well maintained condition. Very good if you want to renovate the whole place from scratch and build it to your dream home. No need to waste money on hacking and tearing down. Super cost saving when it comes to renovation. And, got CONDO view some more! 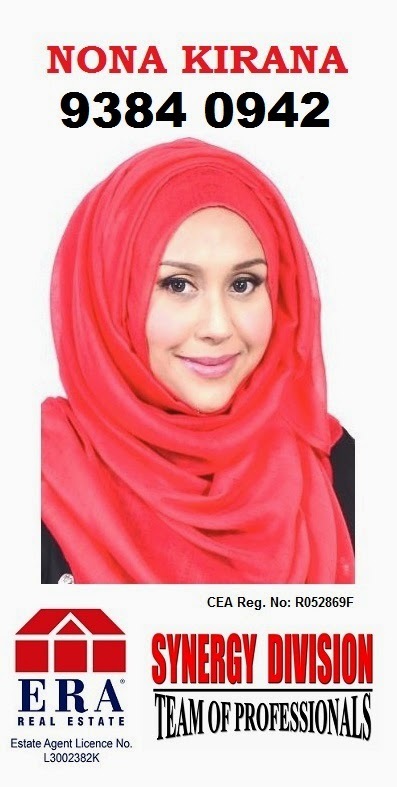 Kalau you berangan satu hari nanti nak tinggal condo, beli rumah ni... pasal bila u tengok hari-hari, manalah tahu satu hari doa you akan terkabul! AMIN! Owners are willing to let go at $520K. But again, ni semua boleh ajak berbincang.. If you are serious and want to make an offer, owners are willing to negotiate. Tapi janganlah letak harga yang tak masuk akal.. macam nak beli $400K! Rugi lah Sista and Brader! hehe.. Let me know if you are keen! On top of that, I have a handful of presentations at hand. I've been doing my research and calculations for my potential clients so that they have an idea of what to expect for their sale and purchase transaction. 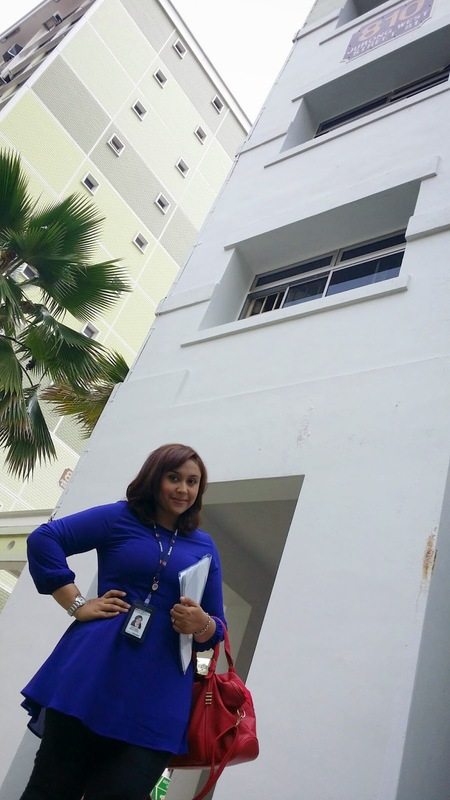 Banyak jugak kes yang dah 55 dan nak jual beli rumah. It's not as simple as that. Ni bukan jual beli barang kat Cash Converter tau! lol. Yes anyone can sell, but are you eligible to buy??? I don't want to be the agent who insist on selling your place when I know you cannot buy. Tak kan nak kasi you duduk dalam khemah tepi pantai sey... Ish. Nauzubillahminzalik! Can't wait to meet up with these clients and explore more options for them. This is such a fulfilling job lah. Seriously. When clients I meet are happy with my suggestions, I feel a sense of satisfaction. This career is no longer just about making money. 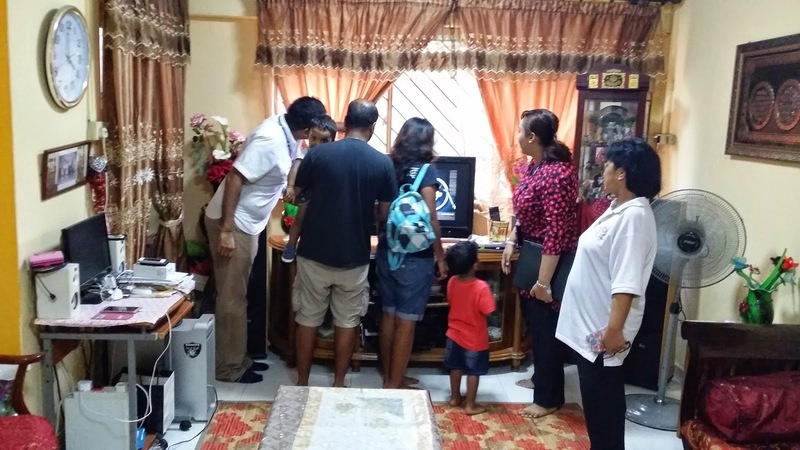 It is about educating them with the right knowledge so that they can make better informed decisions. Then, there are the rental cases. Alhamdulillah, I have quite a few listings now. 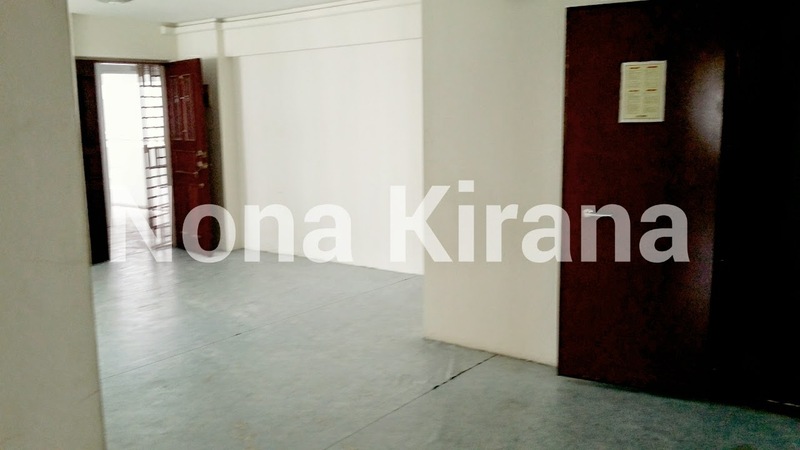 1 common room $600 - Jurong West St. 81 Female tenant preferred. 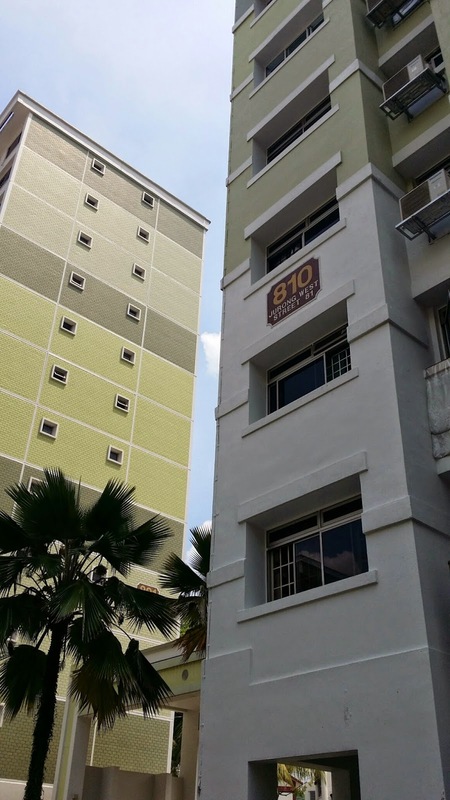 1 common room $650 - Blk 244 Bukit Batok East Ave 5. With wifi, bed, fan. No cooking. 15mins walk to mrt. Female tenant preferred. 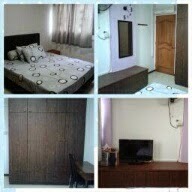 1 common room $650 - Blk 849 Tampines St. 83. Low floor. TV, fan, bed, wardrobe provided. Female tenant preferred. 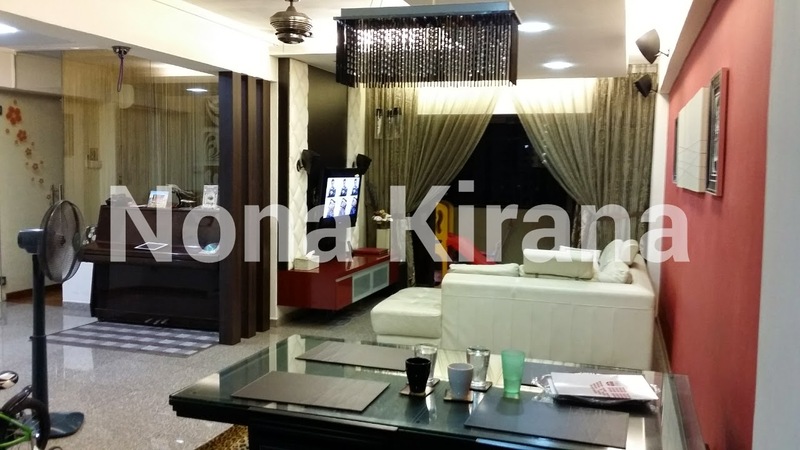 1 common room $650 - Blk 885 Tampines St. 83. High floor. With Air-Con, TV,bed, wardrobe. 1 common room $600 - Blk 430 Jurong West Ave 1. 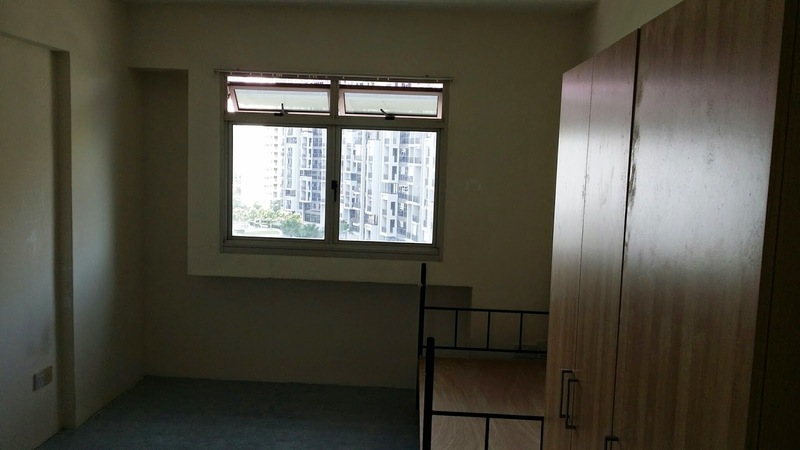 Queen bed, study table, wardrobe, fan, light cooking allowed. Punjabi house. Not for fussy tenants. 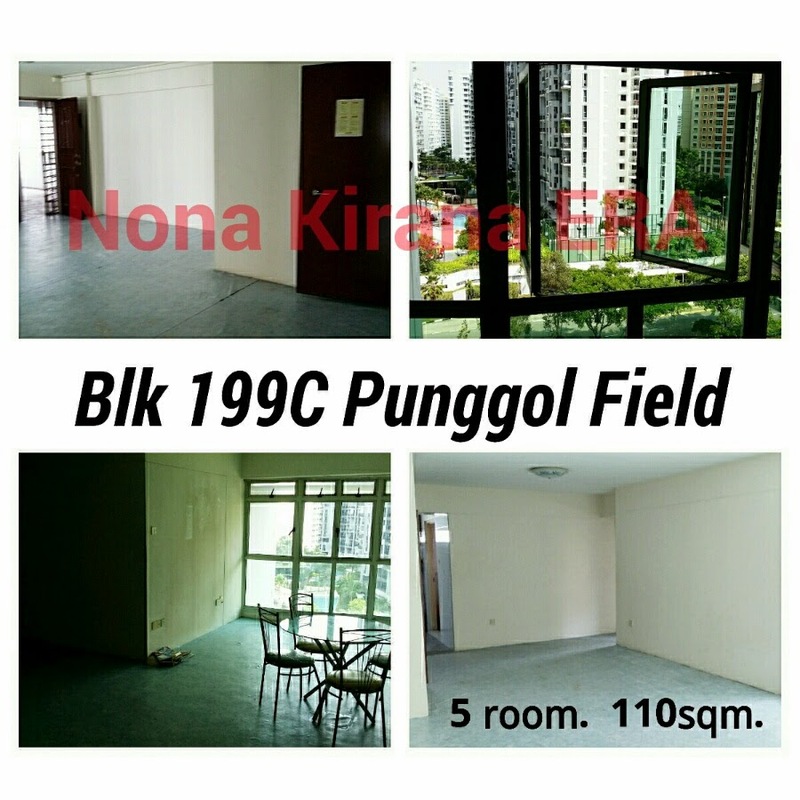 1 comon room $600 for 1 pax/$800 for 2 pax - Blk Punggol. Bed & fan provided. No TV. Malaysian/Indonesian/Malay/Chinese Females ONLY. No cooking. 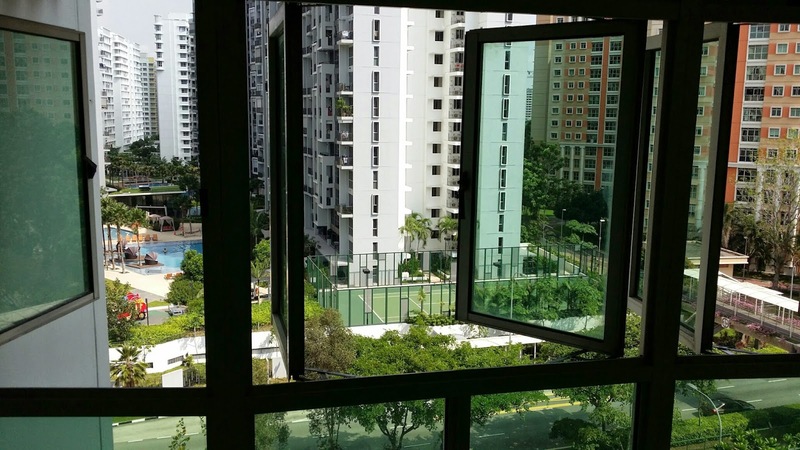 1 MASTER Bedroom $1000 (negotiable) - Blk 303 Yishun Central. Level 8. 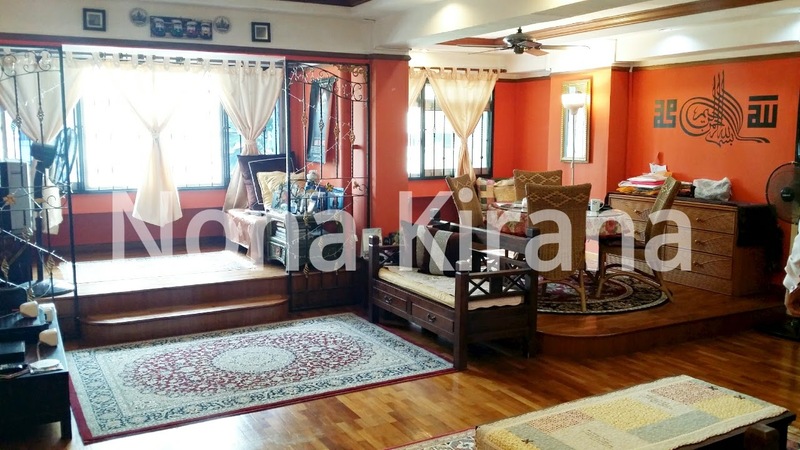 10 mins walk to MRT & Northpoint Shopping Centre. Near Khoo Teck Puat Hospital. No cooking. Females only. Fan, Queen bed, Cupboard, toilet attached. No wi-fi. 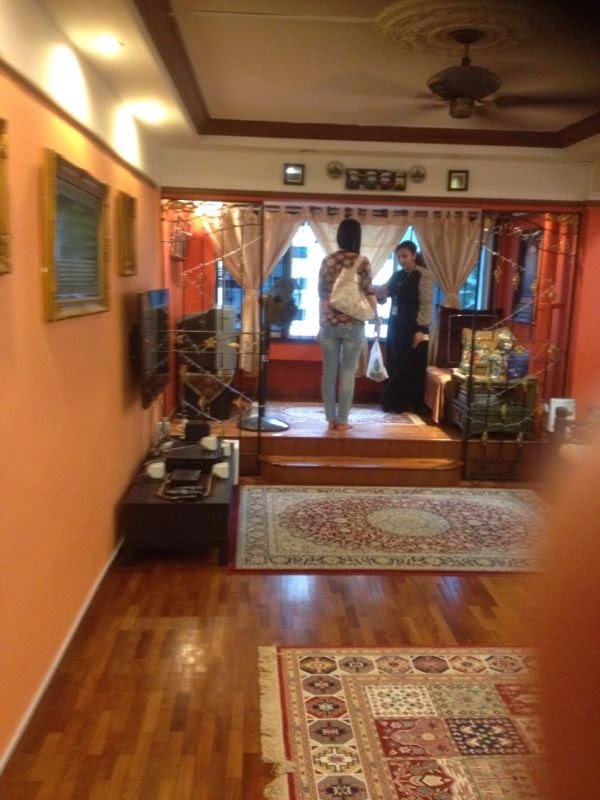 Single Malay female owner will be at home. Who says good things comes easy? Our days are so filled with activities and there is hardly time to breathe. Of course I get tired. But when I see the drive in mentor and his eagerness to share his knowledge, then I get motivated. If he can have a crazy day and still spend time with his recruits, then why not me? So yeah, DEDICATION, PASSION, DRIVE and NEVER-SAY-DIE, that's what it takes to be a great in the industry. I am nowhere near good for now. I am still a baby in Real Estate. However, being new means I am very motivated and willing to work doubly hard to catch up with the achievers. 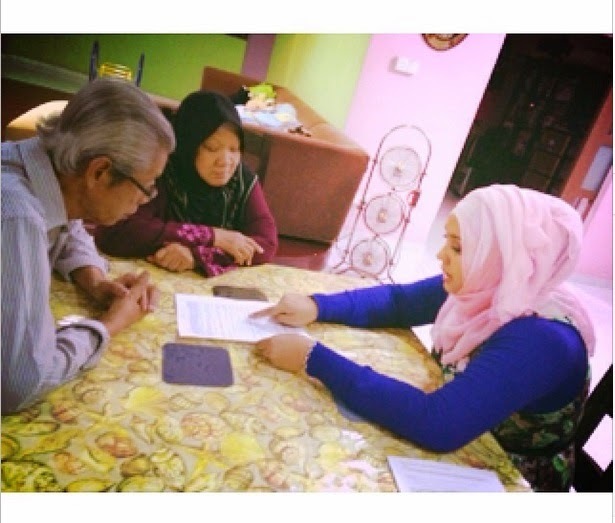 Nak side track sikit.. At one point in time, my husband's mentor, Encik Zainuden Hashim who has been in the financial planning industry for over 20 years, ever told me to consider putting one foot out of radio to explore my strengths. 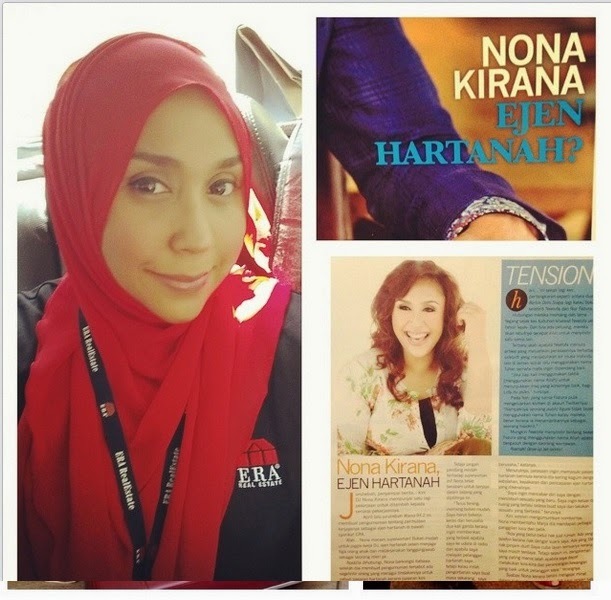 He believed in me that I have the capacity to soar as a businesswoman. However, I didn't have that much courage to step out of my comfort zone and was very much at ease with my radio job. He is one of those who inspired me to be brave and make that move. So, for that, I must say thank you. 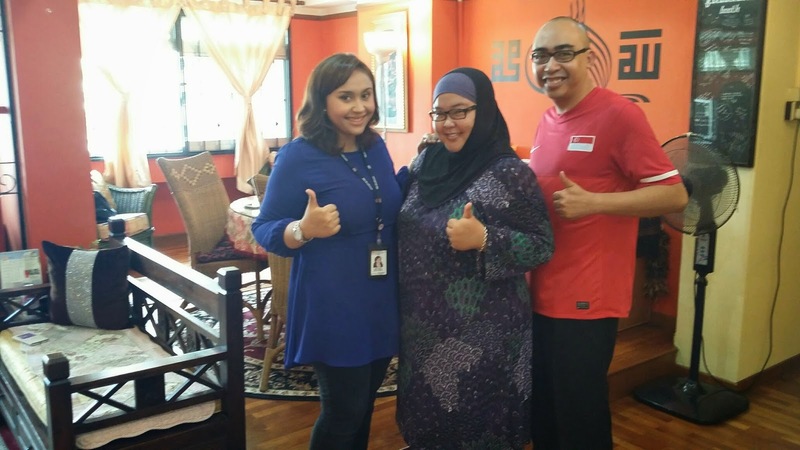 Encik Zai has been an awesome mentor to my husband and we are always so blessed for having cross paths with amazing individuals like him.. This is him in action during one of his talks. 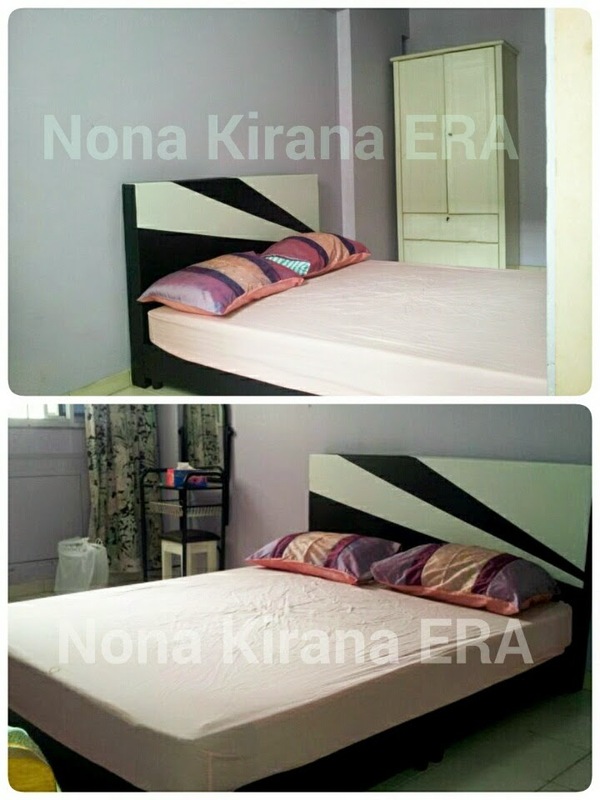 9384-0942.. Nona Si Ejen Rumah! lol. And to those who personally congratulated me, in person, via sms, call or PM, I'd like to say THANK YOU for always being so supportive and positive. Change is never easy but to me, it's the only constant. However, the world is not always filled with good and nice people. There are the cynical ones who tell me I'm crazy. "You sure you can cope ah? Radio job lah. Property lah.".. "Eh, property market is slowing down tau. So many agents are driving taxi part-time you know."... "You doing property? 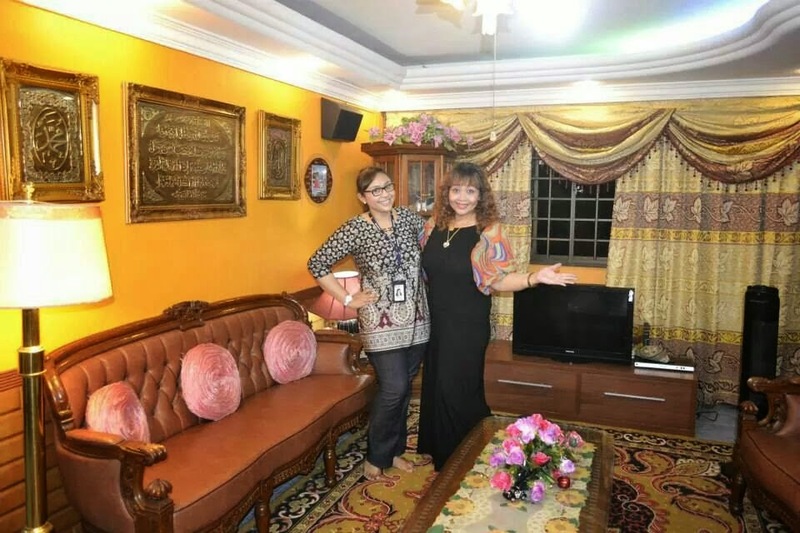 Eh susah tau nak jual rumah!" ... "You're new. 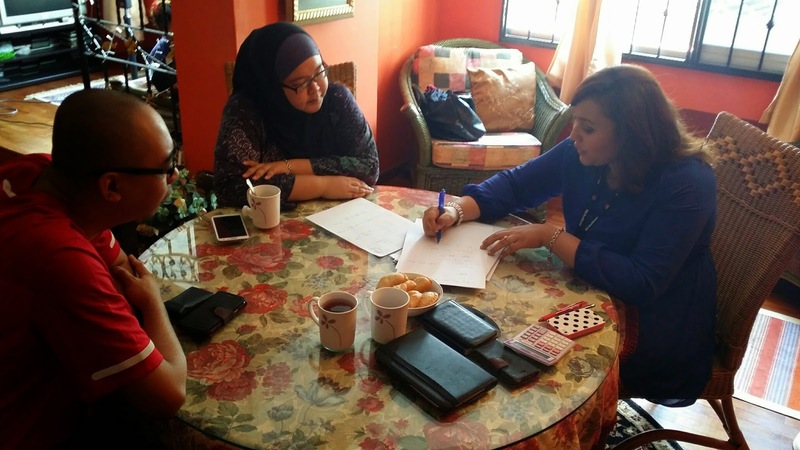 Confirm susah nak dapat clients pasal you belum ada sales record.".. And the lagi best one.. "Elehhh dia ni.. Kau tengok, sekejap je.. Nanti mesti give up punya." But... To those who really know me. They know I'm a fighter. They know I'm willing to go all out and get what I want. They know I am resilient. I don't give up last minute. I feel, every job is a marathon, not a sprint. Yes, I am new to the industry. However, I am hungry for knowledge and experience. Which means I am willing to work doubly hard to get things done. I will go all out to earn your trust and respect. Luck. You need luck in this industry. To me, it's really REZEKI. Something that Allah has already set for you. Kalau ada, ALHAMDULILLAH. Kalau tak ada, tak mengapa, kerana Allah lebih mengetahui apa yang terbaik buat kita. Then someone said this funny analogy to me about luck..
"Win TOTO also need luck one. But ah, if you never queue long long and wait under the hot sun to buy that TOTO number, you think you got luck to win is it? Of course you need EFFORT to queue up and buy laaa. Where got money drop from the sky one?" Betol sey Uncle. Walaupun you bukan Islam, tapi I salute sama you laaa. I'm excited. Really really. I know this path is not going to be easy, but I know it's going to be worth it. I can't wait to help my clients sell their house and ease their mind. I can't wait to assist my buyers in purchasing their dream home that fits their budget and lifestyle. I'm willing to work for you and make your real estate dreams a reality, of you are willing to give me THAT opportunity. Ok. Side track sikit. To those couples who have not managed to get their BTOs due to manyyyy reasons, perhaps you should seriously consider the resale market. No need to wait longg longgg for your BTO to be ready. Can pick and choose your preferred location, perhaps in matured estates, near your parents.. Anddd.. the space is also bigger than normal BTOs. Because seriously, you should take advantage of the current resale market that is to YOUR favour. Buyer sekarang konon ada upperhand tauuuu..
No need to shy shy ok. I'm very nice one. Really. "Even the most successful was once a beginner. Don't be afraid to take the first step." I took the first step to enter real estate. Perhaps you should take the first step to call me? LOL. Ok. Tu je. My random reflection on a Monday morning. THAT leap of faith! BISMILLAH! Ok. So here I go and make that LIFE CHANGING announcement! Alhamdulillah, all praises to the One above for giving me the opportunity to explore into something that is totally different from what I have been doing all these while... .
As of today, I am proud to announce that I am a licensed Real Estate Salesperson! ALHAMDULILLAH! So yes, I am very much psyched and excited to start my real estate work! I have always been a people person and this career would suit me really well. Pernah suatu ketika dulu, orang cakap I patut jadi ejen rumah.. But somehow it didn’t materialize cos I was pursuing my passion for radio. To date, I have been in radio for over 8 years as I started out as a part-timer in 2006. Many may not be aware of this but I am a contract staff. Which means, I am allowed to explore other businesses and opportunities outside, on my own. Never gave it much of a thought till last year.. It’s the 7 year itch I tell you. I realized that it’s time for me to get out of my comfort zone and spread my wings. And with that leap of faith, while 6 months pregnant with Ashraf, I attended the RES course, which was quite a commitment, while juggling my radio work. I was inspired by the many success stories of those in real estate and how their lives have changed ever since they entered the industry. “Kalau pokok bunga tu duduk dalam pasu Bunga yang kecil, macam mana agaknya, dia nak terus tumbuh dan berbunga?” asked the husband. “Kita kena keluarkan pokok bunga tu dengan akar-akarnya, dan pindahkan ke pasu bunga yang lebih besar. Mungkin pada peringkat awal, agak susah untuk akar tu mesra dengan tanah yang baru. Tetapi, lama kelamaan, akar tu akan menjalar lebih dalam ke tanah dan menjadi lebih kuat, sambil pokok bunga tu tumbuh dengan lebih besar dan bunga semakin tumbuh mekar.” My husband is very philosophical lah.. Very bunga-bunga and berkias one. But I like. Because he makes me see things that I don’t see. He gives me a different perspective on things. Plus, recently, I saw an FB post by Adam Khoo which made me cry and reiterate the fact to why I should do what I intend to do. He totally said it for me laaaa.. You read..
Knowing that our time is no limited year on earth, I constantly remind myself to live each day to the fullest, with no regrets and without holding onto any resentment or anger to anyone or anything. Knowing that my time is limited, I make sure that I do not waste it on negative thoughts or harbour negative feelings. I make sure that I enjoy and appreciate every moment of this short journey, the ups and the downs, the celebrations and the challenging struggles. Super touching kannnnn!!! I pun nak jadi inspiring macam dia lah!!! Hehe.. So, with the blessings of my bosses, I shall pursue my dreams and follow my heart! Dear future BUYERS/SELLERS/LANDLORDS/TENANTS, I am ready to serve you! Once I get my Agent card, I announce my contact details ok!.. hehe..